We're in the middle of Summer and I'm sure most of you, if not, some of you, are going on awesome family trips with your little ones. When you do plan a Summer Vacation, are you one to travel by vehicle or is your destination far enough away that you take a train or a plane? Although my family and I have decided not to travel this Summer, due to baby number three on the way, that doesn't mean we haven't traveled locally. And whether you're going to a place near or far, you're going to always need snacks for your little ones. We've been hitting up our town's Splash Pad a couple times a week and when we're not there we're in a family member's pool. When packing snacks, you'll need a durable container that not only will hold all of your goodies for your kiddos, but will also be easy access to get to. 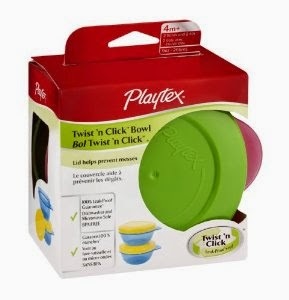 That's why I was pretty excited to try both the Playtex Twist 'n Click Bowls as well as the Twist 'n Click Snacker. Both are durable, dishwasher safe and microwavable safe and hold up very well with my kids. The Twist 'n Click Bowl comes with two bowls with lids that are 100% leak proof. They are designed for food on the go, which is perfect when you have two little ones that get hungry while you're at the park or while you're driving from point A to point B. They're perfect for both dry and wet food. We used them for packing goldfishes, mini pretzels and fruit, which worked out pretty great. I also love that these containers are stackable, so they are easier to organize and don't take up too much space in my cabinets. The Twist 'n Click bowls are for babies four months and older. The Twist 'n Click Snacker are for little ones 12 months and older and I have to say these bowls are great. I love the fact that the lid helps prevent a mess when you're on the go with your little one. I tried it out on my six year old son. Yes, he's six, but he's a kid and he makes a mess when eating snacks just like all kids do. What I love about this bowl is that it will be very easy for a toddler to grip and old on to while munching on their snack. I also love that the top has easy access for little hands for your little one to get to their snack easier. I love that when packing up your snacker, you can add the top to it so that it's leak proof, so it doesn't make a mess in your diaper bag or snack bag when you're on the move. Also dishwasher safe, you'll be happy to have these easy to use containers that will make your life with a little one a bit easier. 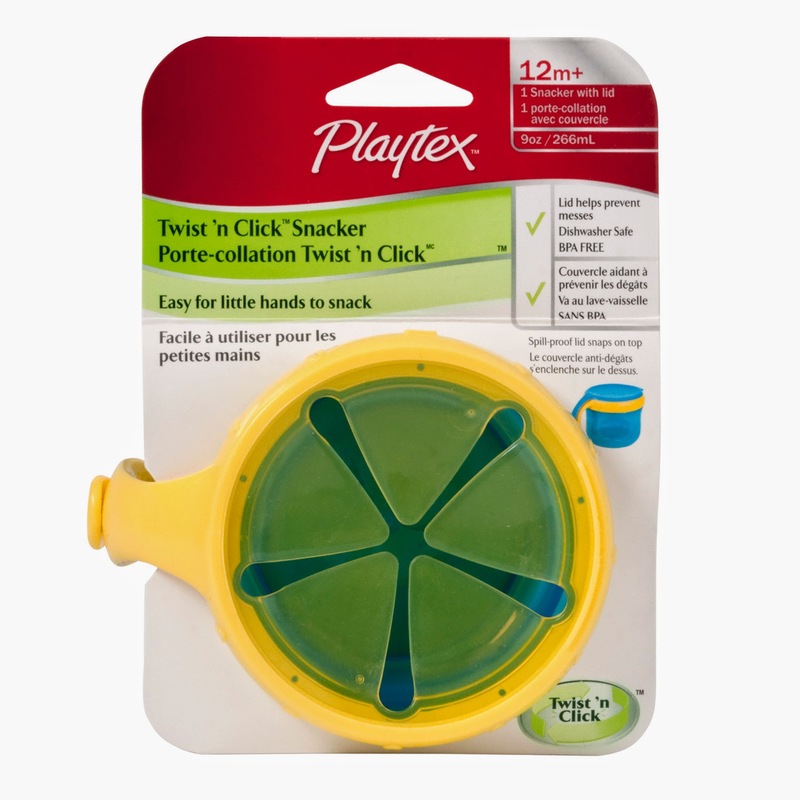 For more information on the Twist 'n Click Bowl, Snacker and other Playtex items, be sure to head on over to Playtex's website.